Clients of Ralph’s Radio in Vancouver and Victoria know that it’s not safe to trust your auto start system to the shop that offers the lowest price. Integrating a high-performance car starter into a modern vehicle requires the proper tools, training and experience to ensure that the system – and the vehicle – will continue to operate reliably. When you come to Ralph’s Radio for a car starter, the first thing you will notice is that we ask a lot of questions. We want to understand where and how you will be using your starter so that we can suggest a solution that has the features, and most importantly, the range required to start your vehicle every time you press the button. If you went shopping for a new ski jacket or a suit for a wedding, would you be concerned about the materials and build quality of the garment you purchase? Buying a remote starter is quite similar. The Compustar systems offered by Ralph’s Radio have proven themselves time and time again as the most reliable solutions in the mobile electronics industry. These starters are tested in the harshest conditions in the world to ensure they function flawlessly, whether it’s 40 degrees above or below zero. The remote controls are designed to be durable and withstand being dropped or sat on. The control modules use premium military-grade components and advanced designs for efficient and reliable operation. The control modules are backed by a lifetime warranty and as a Compustar PRO dealer, many of the remotes we offer carry a three-year warranty. If the analogy of buying premium clothing made sense to you, then consider that choosing a technician to work on your car is akin to picking a painter to create a portrait or a surgeon to deal with an injury. You want someone with training and experience. Our team of expert installation technicians treats each client’s vehicle like it’s their very own. Where and how we mount each component of your auto start system is considered for safety, reliability and accessibility. Wire routing paths are chosen for seamless integration with the vehicle. We use cloth, fleece and premium vinyl electrical tapes to bundle the wiring in a way that mimics the factory harnessing under the dash for a clean and seamless look. Finally, each electrical connection we make is soldered for maximum conductivity and reliability. We never use T-taps or Scotchloks that can damage factory wiring or work loose over time. We schedule an appropriate amount of time to ensure that your starter is integrated flawlessly into your vehicle. While the experience our team has makes them efficient, we never rush a job. We follow the same proven process for every task to make sure that our client’s vehicles receive the attention to detail that they deserve. 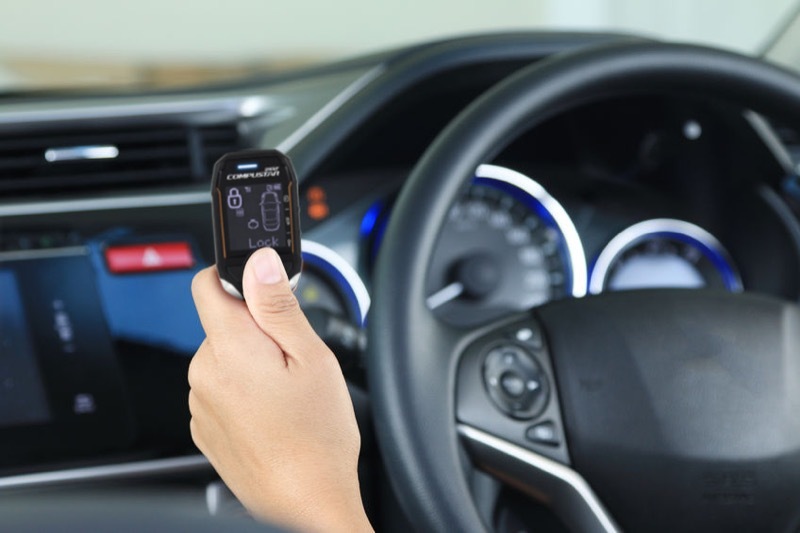 When it’s time to add the comfort and convenience of a remote car starter to your vehicle, we invite you to visit Ralph’s Radio in Vancouver or Victoria and speak to our team. We’ll work with you to design a perfect solution for your situation. For more information or to schedule a personal consultation, give our store nearest to you a call or send us an e-mail using our contact page.